Cloud Player is available in a Free tier and a Premium tier. Cloud Player Free customers can store all MP3 music purchased at Amazon, plus import up to 250 songs from their PC or Mac to Cloud Player, all at no charge. Cloud Player Premium customers can import and store up to 250,000 songs in Cloud Player for an annual fee of $24.99. Amazon-purchased MP3s (including all previous purchases) do not count against the 250 or 250,000-song limits and will be added to both Free and Premium Cloud Player libraries at no charge. Amazon Cloud Player is automatically integrated into Kindle Fire and the new Cloud Player features will be automatically delivered to Kindle Fire users over the next few days. 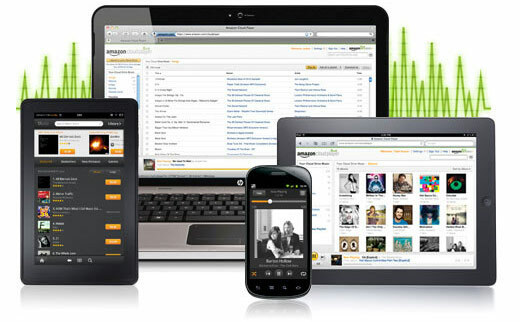 Customers can also visit www.amazon.com/cloudplayeror download the app on iOS or Android. Amazon.com, Inc. (NASDAQ: AMZN), aFortune 500 company based in Seattle, opened on the World Wide Web in July 1995 and today offers Earth’s Biggest Selection. Amazon.com, Inc. seeks to be Earth’s most customer-centric company, where customers can find and discover anything they might want to buy online, and endeavors to offer its customers the lowest possible prices. Amazon.com and other sellers offer millions of unique new, refurbished and used items in categories such as Books; Movies,Music & Games; Digital Downloads; Electronics & Computers; Home & Garden; Toys, Kids & Baby; Grocery; Apparel, Shoes & Jewelry; Health & Beauty; Sports & Outdoors; and Tools, Auto & Industrial. Amazon Web Services provides Amazon’s developer customers with access to in-the-cloud infrastructure services based on Amazon’s own back-end technology platform, which developers can use to enable virtually any type of business. The new latest generation Kindle is the lightest, most compact Kindle ever and features the same 6-inch, most advanced electronic ink display that reads like real paper even in bright sunlight. Kindle Touch is a new addition to the Kindlefamily with an easy-to-use touch screen that makes it easier than ever to turn pages, search, shop, and take notes – still with all the benefits of the most advanced electronic ink display. Kindle Touch 3G is the top of the line e-reader and offers the same new design and features of Kindle Touch, with the unparalleled added convenience of free 3G. Kindle Fire is the Kindle for movies, TV shows, music, books, magazines, apps, games and web browsing with all the content, free storage in the Amazon Cloud, Whispersync, Amazon Silk(Amazon’s new revolutionary cloud-accelerated web browser), vibrant color touch screen, and powerful dual-core processor.